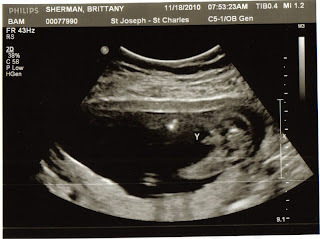 We found out the gender of the baby, just a week before Thanksgiving. Now that my family knows, I can share the news with everyone else! It's a boy! His bottom is to the left, boy parts right next to the "y"
We're all absolutely thrilled. Pj is a little brother so I think he's excited that Olivia will have a little brother of her own very soon (I'm due April 26th)! For Christmas, we picked up a baby doll set with a stroller, diaper bag and bottle for Olivia. When my sister was born, I had a similar baby with accessories and I really loved it. Olivia is already carrying her other baby dolls around and feeding them plastic bottles. 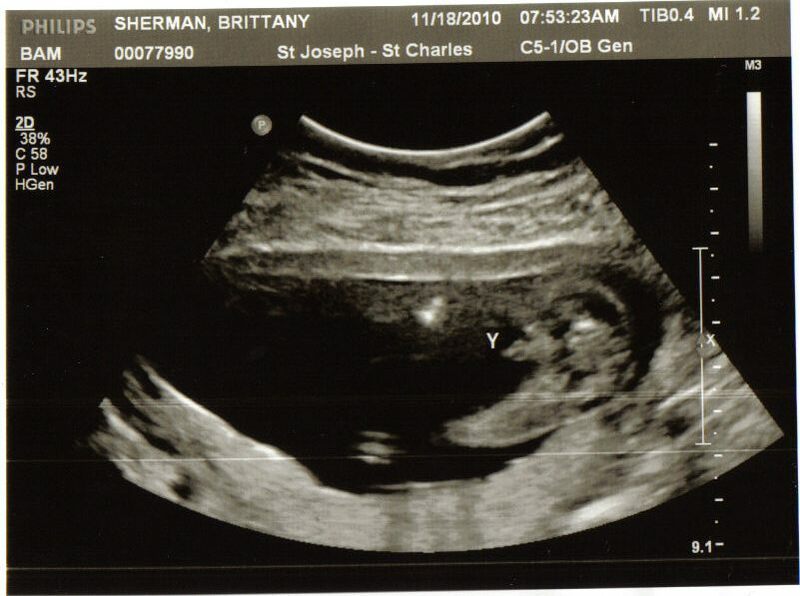 I think she will be a great help to me and a wonderful big sister! Now that we know the gender, I'm getting all excited planning the nursery decor. I had so much fun decorating and sewing for Olivia's nursery but this time, it will be in our own home and we get to paint!!! Like Olivia's nursery, I wanted a theme that would grow with the kid, at least for a little while. 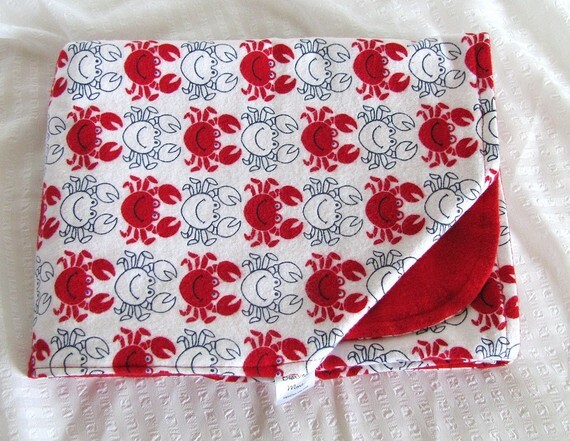 I also wanted something soothing for our little dude so I picked a nautical theme. The carpet in the new nursery is an orange color and as much as I would love to replace it,fencing in the back yard is my top priority, so we're going to work with it! We're painting the room blue and white and decorating with shades of blue, white and an orange-red accent to bring in the funky color of the carpet. I love the look of this dark blue with white but I think we're going to go with something a smidge lighter than navy. As usual, I'm hunting around thrift stores for furniture such as a chest of drawers, a small book shelf and things like that. We're using the changing table that Pj built for Olivia and I picked out a convertible crib with no movable parts by Baby Mod, similar to Olivia's crib. I sewed all of Olivia's bedding, using fabrics designed by Heather Ross so I will probably sew everything for this baby as well. I haven't settled on anything yet, but here are a few fabrics that I am totally loving! I love the whales but the sharp teeth is kind of scary! 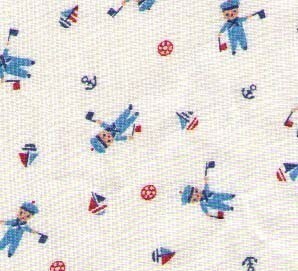 Japanese import sailor print fabric- too cute for words! I love the room from Beach Cottage Love! I hope you wil share pictures of the room when it is finished. So much fun! Congrats! You will love having a son. The youngest of my 3 kids is a boy (with 2 older sisters) and there is a special bond between a mother and her son. Nautical theme is so cute. Can't wait to see what it looks like when you are done. 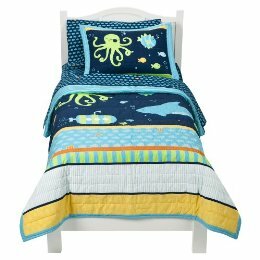 Hmm a nautical nursery would just be an excuse to have pictures of Orlando Bloom *swoon* and Johnny Depp if it were me decorating! Congrats !!! Your baby's nursery is going to look amazing I am sure! Congratulations! You're going to have so much fun with that nursery. 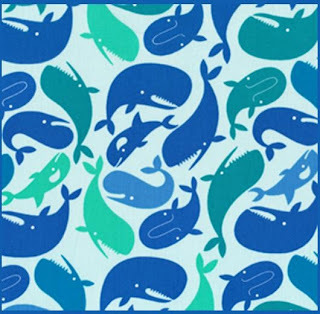 I like the whales! Congratulations! 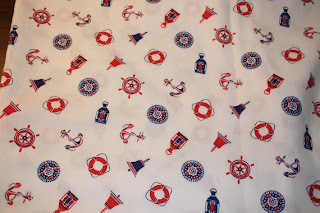 I love the nautical theme--that is just too cute! Congrats!!! 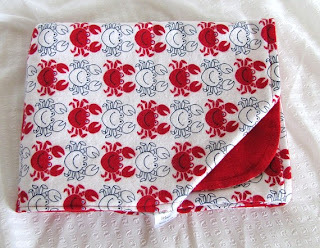 the nautical is a good idea for the baby's room decoration. How fun! I have a daughter and my baby is a boy. 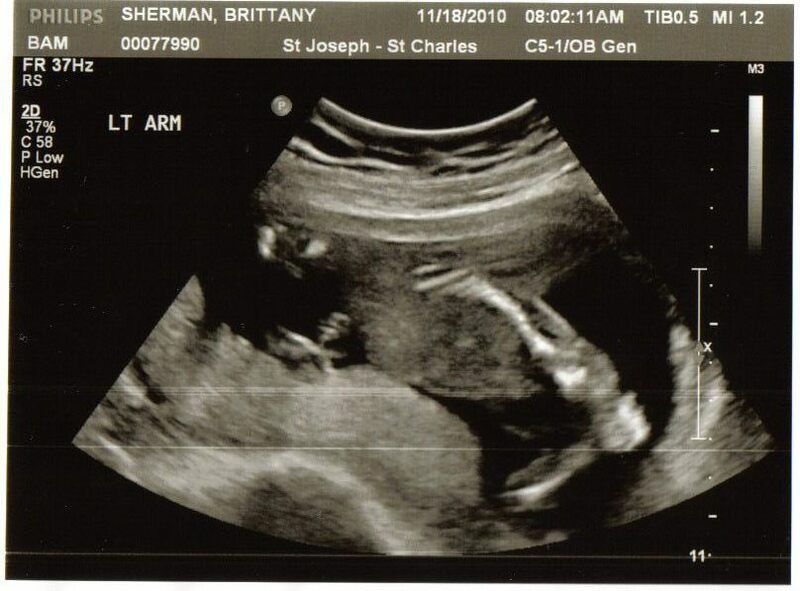 When I was pregnant people always told me how different boys were than girls, even as babies. I didn't believe them, but you know what? They were right! LOL Different but wonderful. Congratulations! I love the nursery ideas. I LOVE that octopus "sock monkey"
Aww congrats Momma!! His nursery is going to be so damn cute. I love it!! congrats doll..aww a baby boy...I want a boy in the next coming years..that bedroom is adorable.